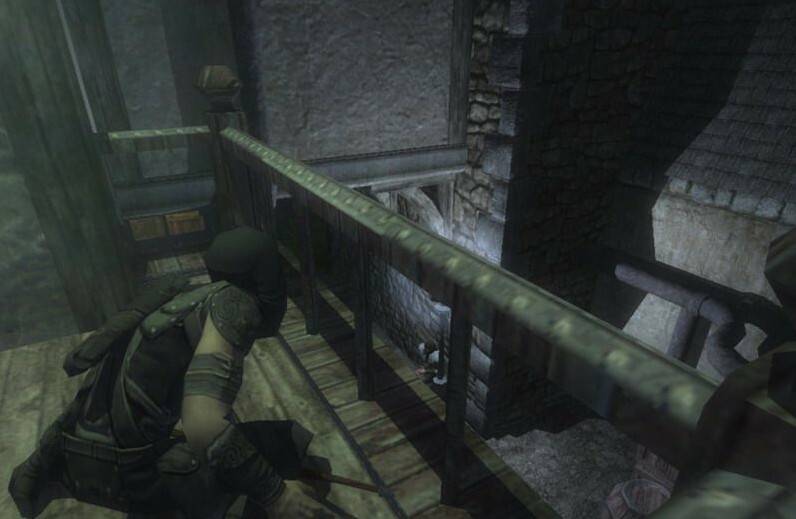 Those crisp shadows make it easier to tell where you’ll be seen and where you’ll slip past the enemies. Soft shadows make this a good deal more difficult. As Fuse-Breaker was initially made in only 48 hours, I didn’t have any time to research proper lighting technique. Therefore, the lighting calculations are just based on Euclidean distance from floor panels to nearby lights. /// Gets the brightness of the light hitting a floor panel from this light instance. /// Checks the light's line of sight. This function, in the Door class, acquires all lights which are within range of the door. 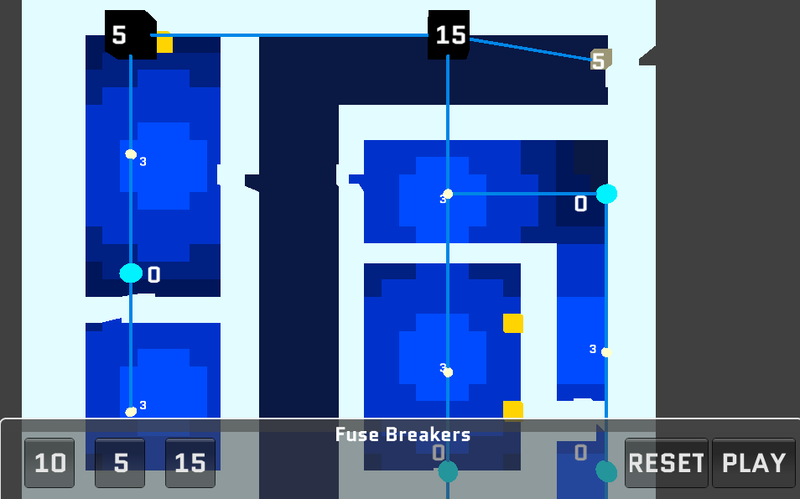 When the player opens or closes the door, it tells these lights to update their floors. /// Gets the floors within range of this light. And this function, in the Light class searches through every floor and stores a reference to it if it is within the radius of the light. That way we don’t update floors that aren’t affected by this light when this light updates. And this is the result! Very chunky lighting, but easy to tell where you can tread and where can’t without being detected. It’s also updatable and casts shadows. Any objects that you don’t want to cast shadows from should be put into the IgnoresRayCasts group (or set up a special filter, if you need them to receive other casts), otherwise they will cast shadows during lighting changes. One early bug I grappled with during the first day of the game jam was that random black spots were appearing in the lighting result. It turned out that if the light turned on and the player was in the way, then the player’s mesh was casting a rudimentary shadow! This entry was posted in Development Journal, Fuse-Breaker and tagged dev journal, Fuse-Breaker, lighting, lolh4xx on August 1, 2013 by Nick.